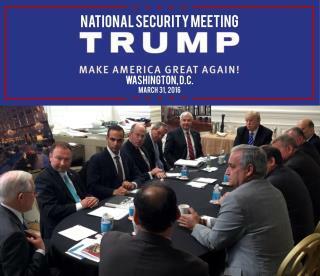 New Worry for Trump Team: Did Ex-Adviser George Papadopoulos Wear a Wire? Asses are puckering right now. We're going to see history made with this investigation. It's going faster than Watergate. Mueller and his team are focused, talented & the best in their field. Their support staff are dedicated and there are NO leaks. Did he wear a wire? DUUUUUH???? Is that the most insane question this year, what with all of Russia suffering that WiFi crash, the country's electric grid going dead, metal detectors going on the blinkskivich, and Popadocaluse's .99¢ store battery melting in his hearing aid. Did he wear a wire? Eyo Yeah!